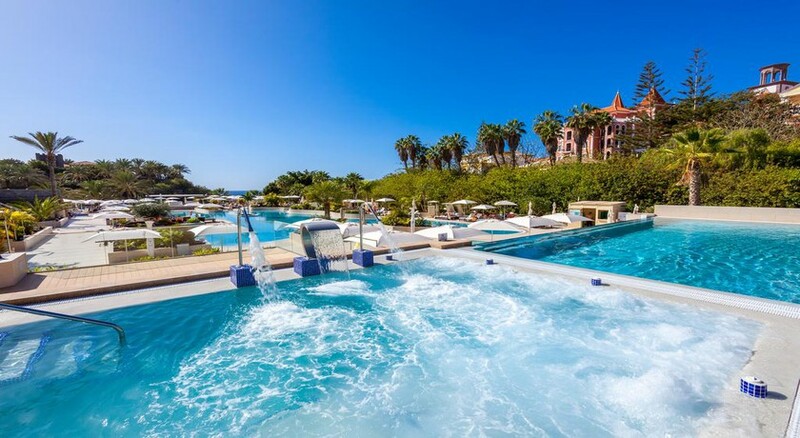 The Gran Tacande Wellness & Relax, located in the south of the island of Tenerife, is a large 5-star beach resort featuring 250 elegant rooms and suites combining a colonial and contemporary feel. 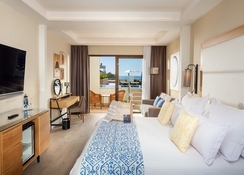 All of the hotel’s rooms have a traditional Canarian touch, with warm furnishings and a choice of spacious doubles or plush suites to relax in. The wellness center at the Hotel Gran Tacanade, Spa Vitanova, is a luxurious space great for those wanting a spot of R&R. While other in-house entertainment includes four fantastic swimming pools, games and entertainment for the kids, a fully-equipped gym, sports facilities, the San Sebastian Exclusive Plaza plus a plethora of excellent eateries on site, too. 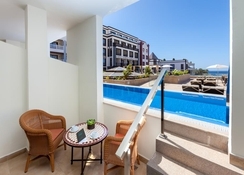 The Gran Tacanade Hotel is located in the south of the island of Tenerife, in the quiet residential area of ​​Costa Adeje, very close to the Playa del Duque, which offers spectacular views of the island of La Gomera – a small neighbouring isle great for day trips. The modern shopping center Plaza del Duke is a great spot to head to nearby where there are numerous food establishments and shops. In addition, the Tenerife South Airport is only 20 minutes by car from the accommodation, Santa Cruz de Tenerife less than an hour and the Teide National Park approximately one and a quarter hours away. Gran Tacande Wellness & Relax has bright and spacious rooms with a host of amenities to suit every guest. The rooms are completed with beds, sofa-bed and a large terrace to enjoy the long hours of sun. 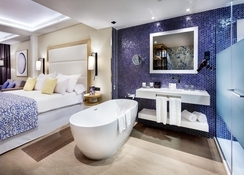 The fully-equipped bathroom includes both a bathtub and jet massage shower. 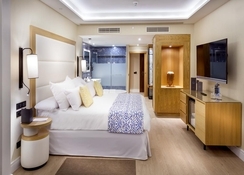 All rooms offer a safe, mini bar, TV (49-inch Smart TV), free WiFi, professional hairdryer, bathrobe, slippers, amenities, 2 USB ports, music player via Bluetooth, HDMI connector and ironing center, among other services. 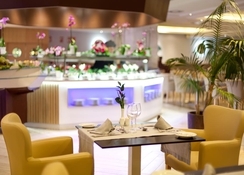 Gran Tacande Wellness & Relax has two restaurants offering a careful selection of Canarian, Mediterranean and International dishes and a pleasant bar where you can relax with a drink. There is the Bocana Beach Club, the hotel’s unique a la carte restaurant, and Zurron Market Buffet offering a varied amount of dishes. The Azotea Sunset Raw bar is a rooftop bar fit for pleasant evenings. On the outside you can find two heated seawater swimming pools, one of them has an infinity effect, a children's pool, sun loungers, parasols and a bar. The hotel offers a new rooftop with bar service at your disposal, plus there’s also be the solarium and the outdoor Jacuzzi for those that want to wind down. If you’re feeling more energetic, the hotel boasts tennis court, a paddle court, a gym and an entertainment and activities program. The Vitanova Spa at the Gran Tacande Wellness & Relax offers its guests the benefits of Thalassotherapy, massages and a wide variety of beauty treatments for an additional fee.